Ethics? Were the old klickies better behaved? He may have been making reference to how Playmobil had allowed the ability to add onto buildings and themes rather then make stand alone sets that could not be expanded upon. "Ethics" may have been a poor choice of words as unless Playmobil is marketing a product as made in Germany when it is actually made in China, or dumping toxins into the environment I cannot see this company as being unethical. Are you referring to the beautiful new Sylvanian series with Victorian (?) boutiques and a tram? It is simply gorgeous! I do hope you're right. If Sylvanian can do it successfully, why would Playmobil not be able to revive the theme? 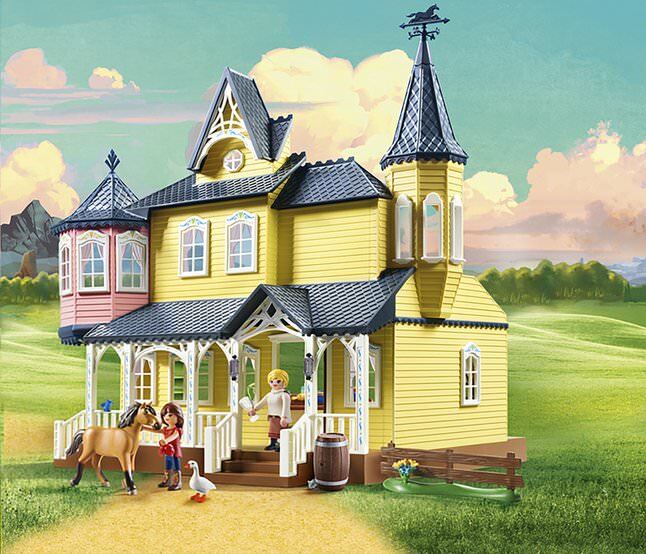 I just bought the new house from the Spirit series (9475) Lucky's house, and with this set I think they have actually found a way to make detailed, historically sound houses that are less 'difficult' or time-consuming to assemble and also less heavy and less costly to produce. They could very well do a Victorian house, a shop etc. in that new fashion. Granted, the house is not steck, it only has a front and one side wall, but it's the best I've seen in a loooooong time. It has windows that open and shut, it has curtains, paneling, appealing colours, pretty details on the roof and so on. I'm a fan! Does this mean we'll see a new diorama of Birdie soon? 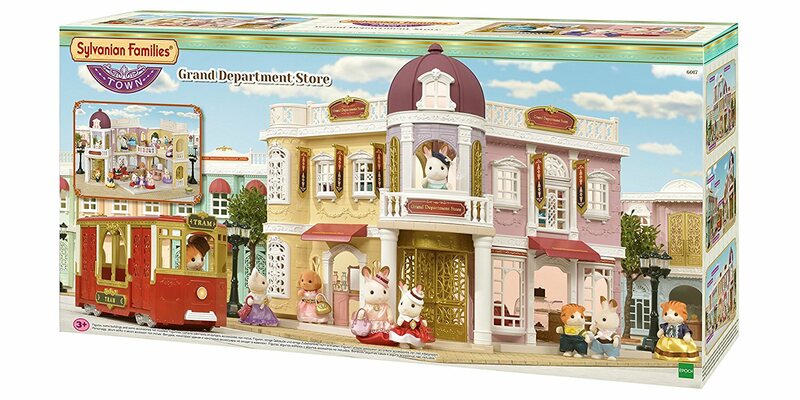 I am nevertheless grateful to the Sylvanian Families Town Series new range which inspired me to start my New Regent St project with the Grand Department Store, the restaurant and so on. My only frustration is that the range is mostly aimed at the Japanese market and Europe is far behind when it comes to the release of sets such as the Elegant Town Manor which I am waiting for in order to complete the grand avenue of my project. While I agree it's not up to the design of the original Victorian range (since it's basically a set), it's no worse in that sense that the Sylvanian sets, and to my eye the design is more crisp and better. Sylvanian stuff is the same scale, but I don't think the detailing is there. So I can see that the Lucky House would be fine for building dios, but not so good for playing sadly. Absolutely. Just have a look at todays klickies and compare them to the 70s/80s ones. There are too many points to raise from faces, posture etc. , etc.